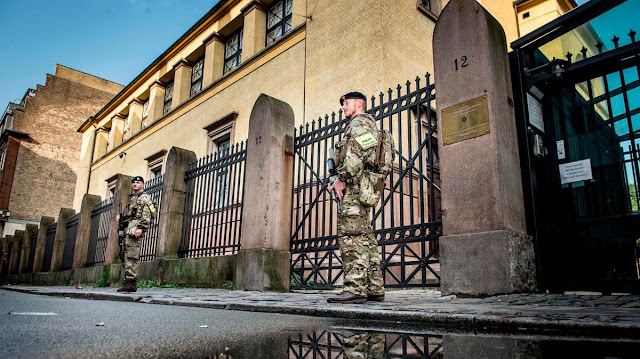 Daled Amos: When 11 Jews Are Murdered In Their Synagogue - Jews Blame Other Jews? 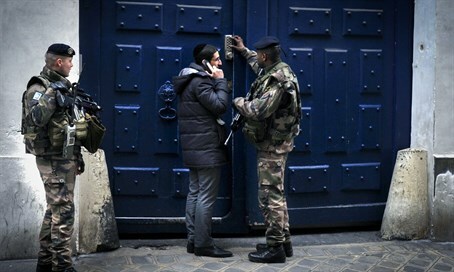 When 11 Jews Are Murdered In Their Synagogue - Jews Blame Other Jews? If you’re blaming one person, one party, one movement for anti-Semitism, you really don’t understand the problem. 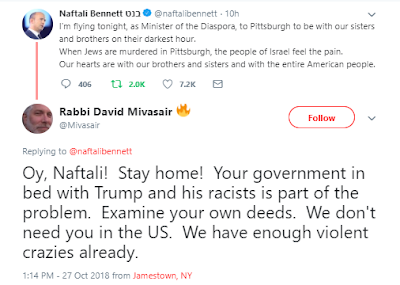 This past Shabbos a vicious Antisemite entered the Tree of Life Synagogue - where he shot and killed 11 Jews. "This is the first time in all American history that Jewish people apparently have been murdered while worshiping," said Gary Zola, who also teaches the American Jewish experience at the Hebrew Union College-Jewish Institute of Religion in Cincinnati [emphasis added]. 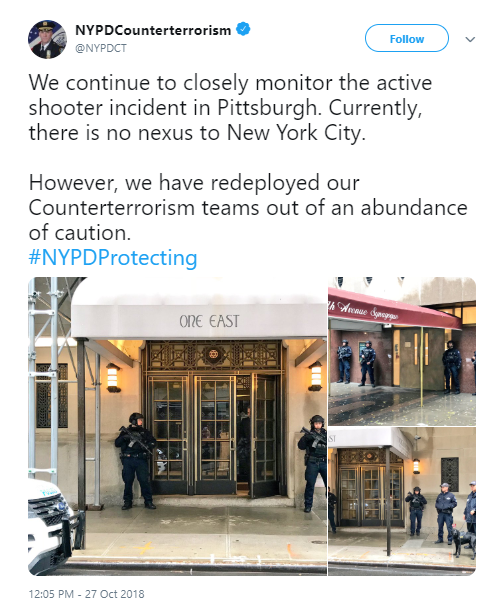 The ADL has also described the "Pittsburgh shooting likely deadliest anti-Semitic attack in US history"
Relatively lax security at American synagogues “simultaneously impressed and worried me,” said Rubinfeld, who visits the United States frequently and whose community and country have seen several major deadly terrorist attacks in recent years. This is a sight we are used to seeing elsewhere. 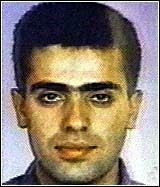 Condemnations of the attack were not slow in coming. 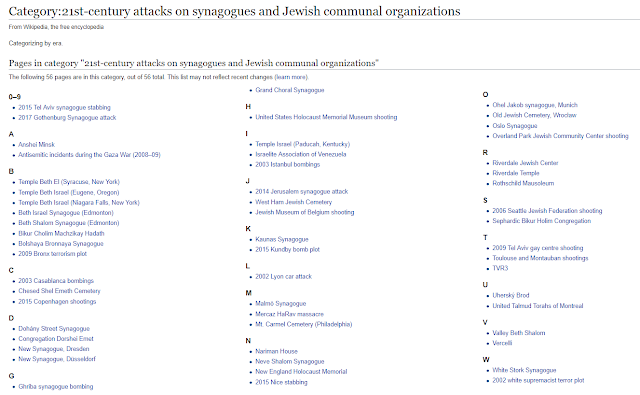 Jews, of course, were among those condemning the attacks. 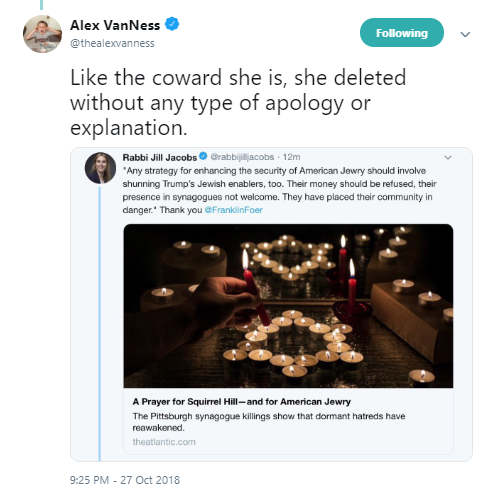 But just who were they condemning? But Trump wasn't the only target. In that last article by Faulding, the Jews who voted for Trump also bear some responsibility. And Batya Ungar-Sargon, the opinion editor at The Forward, goes after Israel. 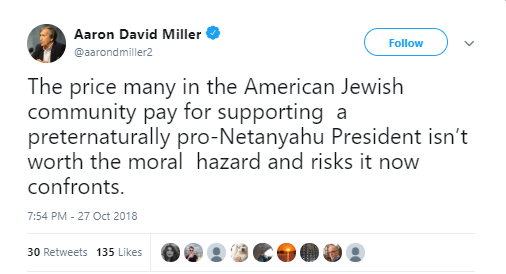 Here is a Tweet by Aaron David Miller, a former Middle East analyst and negotiator in both Republican and Democratic Administrations, who is normally more level-headed. 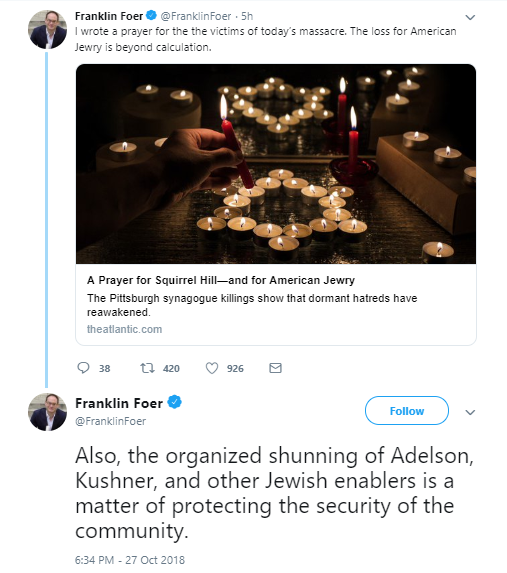 This is from Franklin Foer, a staff writer at The Atlantic, who offers a prayer for the murdered Jews -- and then suggests going after other Jews. 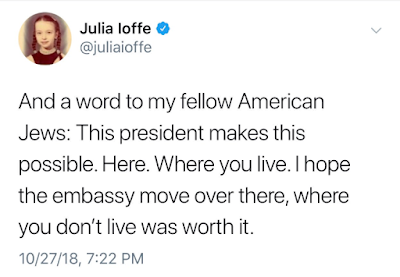 Rabbi Jill Jacobs, Executive Director of Truah, took the opportunity to tweet she agrees with Foer about shunning Jews who support Trump and even thanked him for the idea -- but then thought better of the idea and deleted the Tweet, with neither comment or apology. 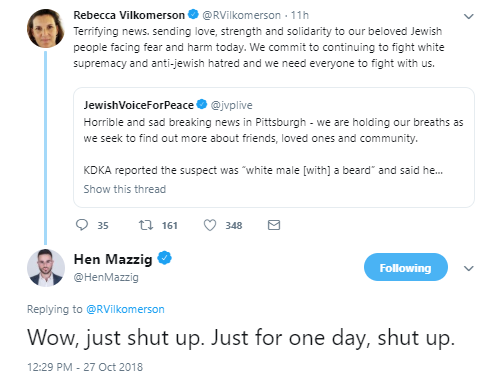 Here is a Tweet from Rebecca Vilkomerson, Executive Director of Jewish Voice for Peace which is responsible for so much of the anti-Jewish hatred that permeates college campuses. The anti-Trump rhetoric has already reached fever pitch, so naturally, it feeds on tragedies like this. 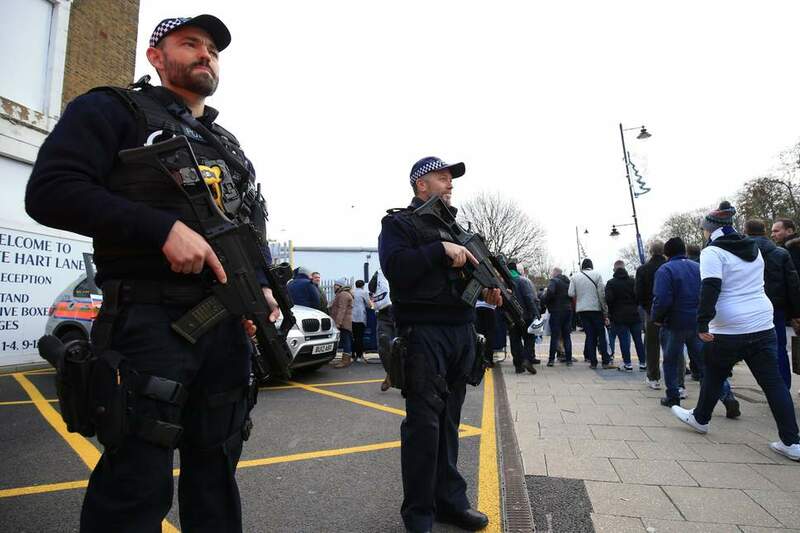 But when a tragedy that should lead Jews to unite instead leads Jews to turn against other Jews, that is worse than a tragedy; it is a disaster.